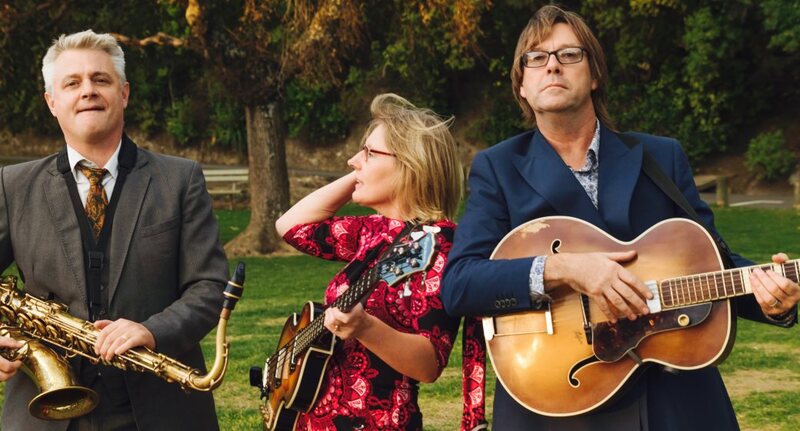 The Andrew London Trio is my main vehicle for my satirical, whimsical and comedic songs, which are wrapped in a 1940s ‘Hot Club’ swing, jazz, blues or country-style package. Actually they are veering a little towards English Music Hall these days. Line up includes Kirsten London on bass and usually either Nils Olsen or James Tait-Jamieson, both saxophonists. Style varies from jazz and blues to country swing and ’60s lounge. Various reviewers have compared to Dave Frishberg, Flanders & Swann, Noel Coward, Tom Lehrer and Mose Allison. One National radio journo called us ‘Flight of the Conchords for Rest Homes’, and we recently had a rather flattering comparison to the late great John Clarke. You can order CDs from the ‘shop’ page on this site or download songs/albums from Bandcamp.com.